TODAY, APPLES ARE BEING CELEBRATED around the region as part of the third annual New England Apple Day. The fresh crop is ready for harvest, and there should be a good supply of apples, in a full range of sizes, across the New England states. The commissioners of agriculture in the New England states will tour orchards today, meeting with growers and sampling the season’s delectable fruit firsthand. September marks the traditional beginning of New England’s apple harvest, although some early varieties have been available since mid-August. Most of the fresh harvest occurs in September and October, and the McIntosh, which accounts for nearly two-thirds of the New England crop, should be ready at some orchards as early as this weekend. Macouns, Honeycrisp, Empire, and Cortland will not be far behind. About 40 varieties are grown commercially in New England, but many more heirloom and new varieties are available at certain orchards, especially during the fall. Most of the leading varieties are available in grocery stores throughout the year, maintaining the flavor and crispness through advances in technology such as controlled atmosphere (CA) storage. 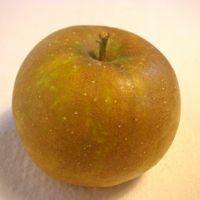 Apples have been cultivated in the region since the mid-17th century, and some of the oldest American apples, including Roxbury Russet, Rhode Island Greening, and Baldwin, were first grown on New England soil. 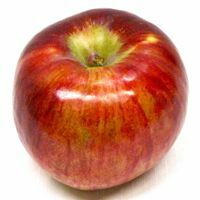 Go to the “Find an Apple” link on the home page of our New England Apples website to access our variety index. Click on the apple you are trying to find for a list of where they are grown. In fact, if you can’t make it to an orchard today — and to plan ahead for the weekend — you can take a virtual tour of New England’s apple orchards by visiting our Orchards by State page. Click on the appropriate state for complete listings from our orchards, including hours, directions, and varieties. Each listing indicates if the orchard offers pick-your-own or has a farm stand, and includes other products sold and special activities. 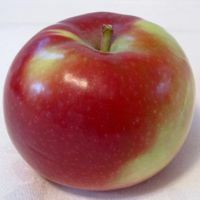 From there, click through to the websites of individual orchards to get a taste of the tremendous variety New England apple growers have to offer. These websites offer a wealth of information about each orchard’s history, as well as its current operation and products, and you will see some beautiful photography. You can also locate an orchard in your area by clicking the “Find An Orchard” link at the top right of our home page and searching by zip code or map with our Virtual Orchard Finder. There’s nothing like visiting an orchard in person to see — and smell — the apples on the trees. But until you can get there (and after a dreary mid-week, it is shaping up as a beautiful weekend), a tour of orchard websites is sure to whet your appetite.